In this song tutorial, J.D. Jarell will lead you through the country classic "Help Me Make It Through The Night" as made famous by Johnny Cash. 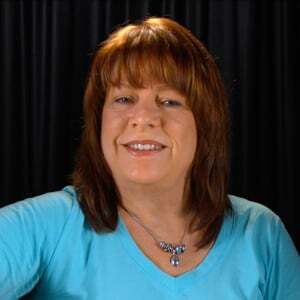 You'll learn the opening riff, the chord progressions of the verses and choruses, about the fills between the vocals, the boom-chick rhythms, and then have both acoustic and electric play alongs to cap it all off. Here in this set of song lessons, Anders Mouridsen will break down the classic country song "Tennessee Flat Top Box", written and recorded by Johnny Cash. Anders will dig into the gear and tone a bit, then teach the intro riff. Next we'll look at the acoustic rhythm guitar, then segue into the electric. You'll learn the riff that is played after every verse, then some of the variations in the song. We'll "flat-top" it off with a full performance. 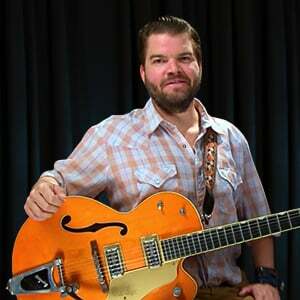 In this set of lessons, Anders Mouridsen will teach you one of the many country hits from Johnny Cash, "I Got Stripes". 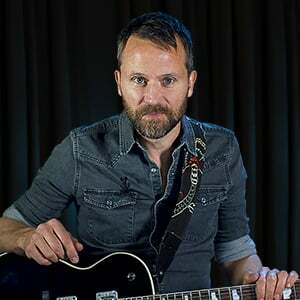 Anders will discuss the gear and tones you need for this song, then delve into the voicings and strumming and all the acoustic parts. Anders will then dig into the electric parts for the verse and chorus, and look at the key modulation. We'll bring it to a close with a look at the slowed-down ending, and a final song performance and a jam along. 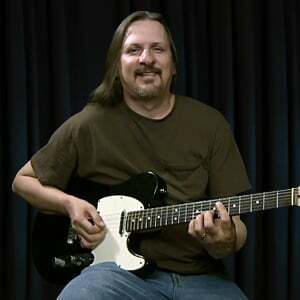 In this country song tutorial, Henrik Linde will be teaching you "Ballad Of A Teenage Queen", by Johnny Cash. Henrik will give you an overview of the song and talk about the tones, then get into breaking down the simple parts here: the song intro, the A section, and the B section. After giving you these elements of the tune, you'll play the whole song through with Henrik, and finally step out on your own and jam along with the backing track. In this set of lessons Mike Olekshy will teach you "I've Been Everywhere", as recorded by Johnny Cash. After introducing the song, Mike will lay out the free-time chords and strumming in the song's intro. Then we'll launch into the chorus of the tune at tempo, learning the chords and strumming rhythm. Next up is the verse, followed by the final chorus outro. We'll end with a play along performance, then you'll take over in the jam along. In this series of country lessons, Henrik Linde will teach "San Quentin", as made famous by Johnny Cash. 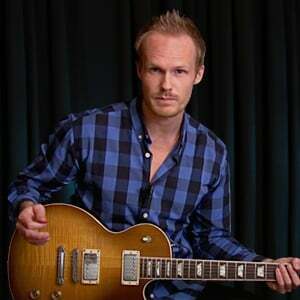 Henrik will introduce the song and go over the gear and tones, then show you the acoustic and electric intro parts. The verse parts are next, followed by the interlude and the outro, all on both guitars. We'll do full and single guitar performances, then you'll take over in the jam along. 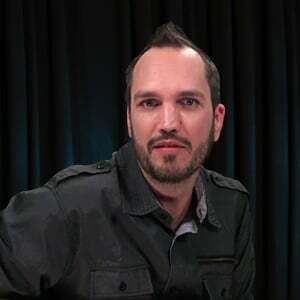 in this song tutorial, Henrik Linde will teach "The Man Comes Around", by Johnny Cash. A song introduction and the gear and tone will start things off, then Henrik will dissect the two acoustic parts in the intro and verses. That leads into the "hook" guitar parts, then we're on to the chorus. Henrik will break down the C section parts before he does the song ending, then we'll do full and single guitar play alongs and a jam along. 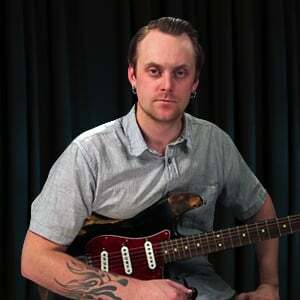 In this tutorial, Henrik Linde will teach "Flesh and Blood", by Johnny Cash. After a song introduction and the gear and tone, we'll learn the acoustic and electric rhythm parts for the intro. We'll head to the verse section next, followed by the chorus; then detail the rhythms under the solo. We'll learn the short but sweet acoustic solo, then the final "rubato" verse before doing full and single guitar play alongs, then a jam along.